Hula Hula Nights is a five reel, ten payline slots game from the WMS which has been launched in collaboration with the Red7 game studio. This slot is playable with a minimum value of 10p to a maximum value of £500.00 per spin. The slot is accessible on all desktops, mobiles and tablets. This tropically themed slot offers exciting as well as rewarding bonus features which are enough to hook the enthusiastic slot players towards it. This slot has an RTP of 94.07%. Visually, Hula Hula Nights have a very simple layout and is set against a purple dominated backdrop – icons on reels consists of playing cards that have the Hawaiian design, three different flowers and two Hula girls. Hula Hula Nights is the wild icon and will substitute for all the icons except scatter. This slot has high-quality graphics and the electrifying soundtrack does proper justice with the theme of this slot. Moreover, the players can squeeze a maximum jackpot of 750 coins during the gameplay. Hula Hula Nights also include the Green Reels feature in which all green reels get to impose on all icons randomly during the base game. And, once a spin takes place, the green reels will reveal the same icon which gives players a better opportunity of forming the winning combinations. To trigger the Free-Spin Bonus round the players must land 3 or more of scatter icons anywhere on reels – three, four or five which will award them with ten, fifteen or twenty-five free-spins respectively. Moreover, the players must look out for the Collect icon which appears on the screen and will help the players to grab all visible cash amounts displayed on green reels. Furthermore, get three or extra collect icons to win the extra free-spins. £50 option – five linked spins along with the double height scatters in which the wild replaces scatter and the ‘Collect’ icons in Free-Spins. 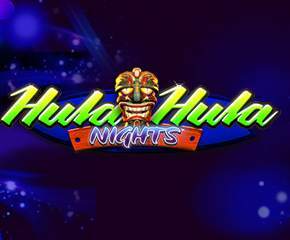 Hula Hula Nights are one of the best slots by WMS gaming. It has high rewarding bonus features which offer decent payouts to players. Moreover, it has medium disaccord and the can squeeze a reasonable sum during their gameplay.